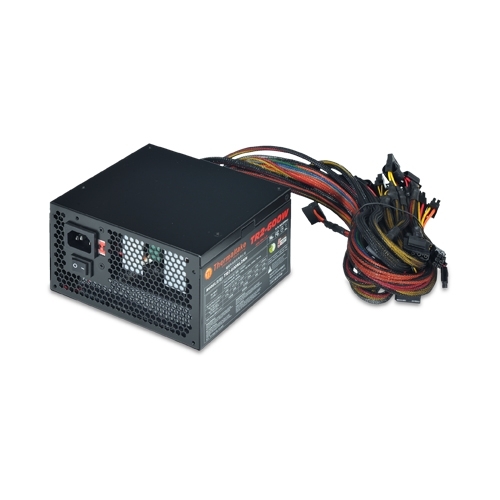 Power supplies provide the necessary wattage to the computer and all its components. Since computers require direct current (DC) and not alternating current (AC), the power supply must take the AC from the wall outlet and convert it into DC power for the computer to use. Power supplies have continually increased in wattage over the years. Not even 10 years ago, a power supply with 250 watts was more than suitable for a gaming computer. Currently, you'd be hard pressed to find one under 400 watts as all new computers require the extra power for the latest video cards and CPUs. We recommend a power supply of at least 500 watts for the gaming computer and if you plan on using NVIDIA's SLI or ATI's Crossfire technology, you'll need a power supply in the 800-1000 watt range. If you ever find yourself in a situation where your power supply does not have an appropriate connector to attach to your motherboard, there are literally hundreds of adapters made for power supplies to fit each connector. For example, if you need a PCI Express power cable for a video card but your power supply does not provide one, you can purchase an adapter that uses two Molex connectors and creates a PCI Express output from them. Some of the most trusted power supply manufacturers are Antec, Corsair, and Thermaltake. We have used each in the past with excellent results. As power supply technology continues to improve, they have become more energy efficient and longer lasting. The three brands mentioned above are at the leading edge of the latest technology, which is just another reason why we recommend them for your gaming computer build. The latest trend in power supplies is locating the unit at the bottom of the computer case. It was recently discovered that the ATX design, with the power supply mounted at the top of the case, resulted in warm air being circulated over the motherboard and the other components. Eventually the warm air would exit out the rear of the case. By moving the power supply to the bottom of the case, the warm air from the power supply exits directly out of the rear of the case and ultimately leads to better cooling. These cases are not essential for a gaming computer but if you come across one and the price is comparable to a top mounted power supply case, I'd recommend getting the bottom mounted style. It will help keep the computer cool, especially if you are concerned with excessive heat generation.